A month ago, I posted here and announced that I was going on a monthlong Digital Detox/Social Media Ban. I made the decision to give it a try after reading Cal Newport’s new book Digital Minimalism. You can read the original post here if you missed it. But now I’m back with my report from the land without social media! To be honest, I didn’t expect this experiment to be all that revelatory. I have been working on dialing back my digital distractions for about two years now. I’ve been blogging about that journey along the way. I thought a month without social media would be a good break and “detox” because I was annoyed that I was checking my phone so often again. However, it ended up being a lot more enlightening than I ever expected. I went into this way too confident, y’all. Smug, even. I got this, I thought. Ha. Week One told me to have a seat and rethink that notion. The initial week was tough! I kept picking up my phone and swiping to the screen that usually held my social media apps, and I had nothing to push because I had deleted them. The reflex was a hard one to break. In fiction, you eventually lead characters to the “all hope is lost” moment, which we call the black moment. My black moment on this journey hit at Day 5. I was really missing chatting with people online and checking social media. I yearned for it, lol. I felt this haze of loneliness even though I was still texting with friends and had my family around me. Day 5 made me question whether I could do it. Day 6 - Holy productivity, Batman! The day after I was missing social media, I sat down in my office and started a stretch of days that would become some of my most productive ever. This month, I was working on putting together a new online romance writing course for beginners. In three days, I wrote 17k words of lectures. I hit a level of flow and deep work that I didn’t think I was capable of. I blogged more about that here, but I was able to manage four hours straight of focused work without any struggle. I was so excited that I was getting so much done, the yearning for social media began its rapid decline. I put a similar background on my phone to remind me what I should be doing instead of picking it up. 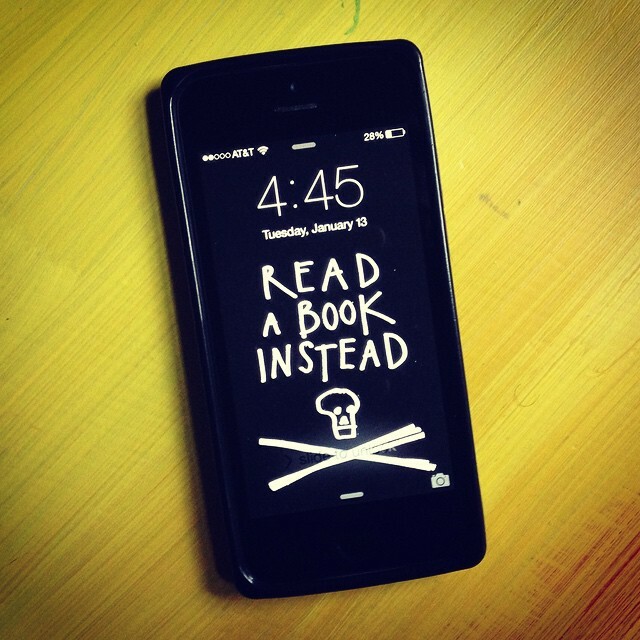 This one is from Austin Kleon and you can grab it here. During week two, I traveled with my family to Florida for the Daytona 500. This meant sitting in airports, flying on planes, and then having a lot of downtime in the hotel room in between races—all with no social media. Normally, I would’ve been posting photos from the trip and scrolling through my feeds. Instead, I read in the downtime. I ended up reading one and half books on the three-day trip. Also, in some of the downtime in the room, my family and I used the Heads Up app to play the game and fill the time. We ended up laughing to the point of tears. I’m not sure I would’ve thought to bring out the game if I hadn’t been on the social media fast. I was bored. It gave me the idea to play the family game. It was a little strange not being able to post pictures or video from the trip, but that just meant that I could keep my phone tucked in my bag for most of the trip. I did share some photos in my newsletter. 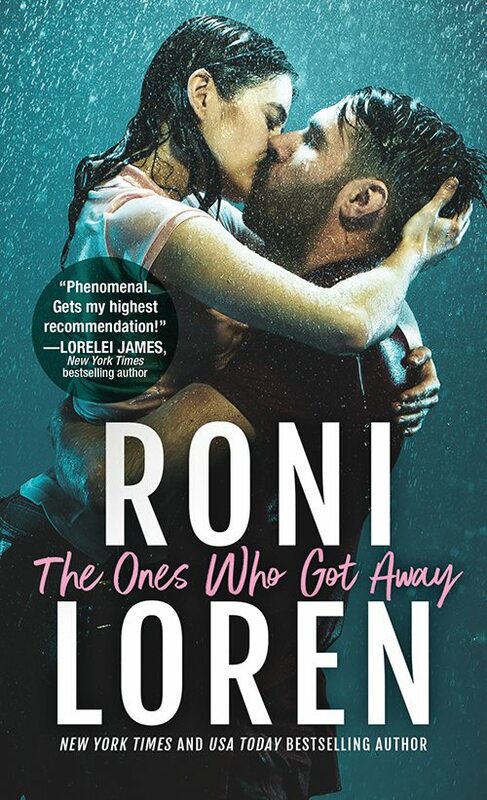 Another thing that happened in week two was a big plagiarism scandal in the romance writing community. Normally, when this kind of thing happens, all the social media networks light up with the “breaking news” and then everyone’s take on it. I have lost whole days in the past following that kind of thing. Instead, because I wasn’t on social media, I was alerted about it by a friend via text, and she sent me the link for blog posts about it after the facts were straight. It was so much calmer learning about what was going on from a well thought-out blog post rather than the 100mph feeds and noise of social media. The lesson here was that I wasn’t uninformed. I still heard about it. But I could get the information in a calmer way. I stopped missing social media. I honestly, truly did. I was drunk on productivity and focus, y’all. Lol. Being able to have that level of intent focus and mental flow without even trying was like playing with a new toy. It reminded me of how things used to be when I was in high school and college, when I could deep dive into projects for hours at a time. I wrote a novel when I was fifteen. There’s no way that would’ve happened if I’d grown up with Facebook in my pocket. I used to be able to concentrate. Now, I had the ability back. It felt like magic. This past week, I had days where I worked in deep work mode for 7 hours, only stopping briefly midday to eat lunch. The online class I thought would take me another 3 weeks minimum to get ready was done. Not only done, but edited, uploaded, and open for enrollment. That is crazy banana pants to me. I finished the project almost a month ahead of schedule. I know it had everything to do with this experiment. I use the music program Focus @ Will for background music, and it tracks how long you use it. I only have it on when I’m actively working. So this is what my days started to look like. That’s 7 hours of focused work if you’re math-challenged like I am. Seven hours! However, with that thrill of success came a hint of fear about coming back to it all. I knew from the start that I wouldn’t leave social media forever. Beyond being part of my job, I am a member of a number of author groups online that truly bring me joy. BUT I didn’t want to lose this newfound superpower. I knew I needed to figure out a way not to fall back into old habit. So that’s what I’ll be talking about in the rest of this post. Wrote 33k words of lectures for the class. Researched teaching platforms and learned how to use one. Created worksheets for the class. Created a slideshow and promo video for the class. Loaded and formatted 7 weeks worth of lectures into the class platform. Rebuilt the format of my author newsletter. Went on a vacation and didn’t work. The time I spent on my phone (according to Screen Time) was about 2 hours a day. This is down about an hour from usual (7 hours added to my week!) This experiment didn’t make me stop using my phone completely. Almost all time spent on it was text messaging, reading articles on Safari, and podcasts. 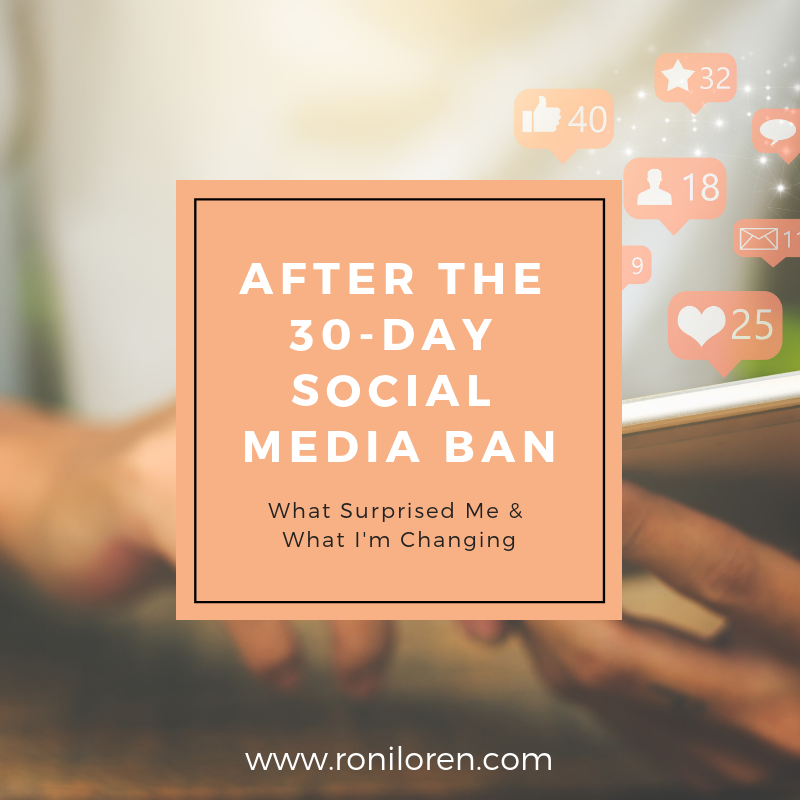 The morning was often when I missed social media the most because my husband would grab for his phone, and I’d have nothing to do for those first few minutes before I got out of bed. I ended up reading articles most of the time. Sometimes it was inconvenient not to have Facebook simply for logistical purposes. Restaurants only had a FB page or I needed to access one of kidlet’s activities, but they do everything through FB. This felt entirely different from the things I’ve done in the past like blocking social media for a few hours while I work or taking a digital sabbath. Those give you a break, but don’t impact the habit. I think this long of a break is much more disruptive in stopping bad patterns and clearing your mind so that you can look at social media with a more skeptical eye. You get a taste of what it’s keeping you from. For me, that was higher focus and productivity but also a sense of calm. So if you’re thinking about doing something like this for yourself, give yourself the full month. Don’t trick yourself into thinking that quitting for the weekend is going to make any real difference. I also highly recommend reading Digital Minimalism first because Newport gives a lot of tips on how to best set yourself up for the 30 days. If you go cold turkey with no plan on what to replace that social media time with, you’re more likely to give up in that black moment. Gretchen Rubin talks about in her book Better Than Before that some people are moderators and some are abstainers. Meaning, some people do better with creating a habit by completely abstaining from something: I never drink soft drinks. Others do better as moderators: I only drink soft drinks twice a week. Most people think they’re moderators, but I have a feeling that more of us would be better as abstainers. There was relief in knowing checking social media wasn’t an option at all. There was no decision to be made. The line was clear. And really, that is how I quit soft drinks fifteen years ago. I went from a four-a-day Diet Mt. Dew habit to zero and never went back. Abstaining was the key for me. However, with social media, abstaining isn’t realistic for me (and many of you) in the job I’m in. I also don’t want to lose the good things I enjoy about social media like my Facebook groups. But after this experiment, I know that I need to make some serious changes because I don’t want to give up the newfound focus and calm. Put 20 minute daily limits (via Screentime feature) on Facebook and Instagram on my phone. I thought that the phone would be the biggest issue for me and, for a while, planned to not put Facebook back on it. But I realized through this experiment that the phone was much less of a problem than checking on my desktop and disrupting my work day. So I have put these two back on my phone but with strict limits. UPDATE (3.18.19): I’ve taken Facebook off my phone again. Having it back for a few days made me realize that even with my best intentions, I find myself checking it more than I want. The 20-minute limits were too easy to get by because I just had to click “ignore limit” and it opened. I’ve left Instagram on my phone because that app doesn’t call to me very much. I’m fine checking that one a time or two a day and that’s it. Turned on the Downtime feature on my phone starting at 8pm and ending at 6am. This will keep my from randomly checking my phone while I’m watching TV with the fam and hanging out with them. No more social media shortcuts on my desktop. They are way too easy to click when I hit a hard spot in my work. I’m keeping Twitter off my phone. I was already doing this before and plan to continue. Only check social media on my desktop at lunch time and on weekends. This is the one that’s still in flux. I have also considered using my Hey Focus blocking app and blocking access to social media in the morning work zone and afternoon work zone, but I almost feel like I need to lean on that abstainer concept and make it very clear: I only check social media on my computer at lunchtime and on weekends. UPDATE (3.18.19): This hasn’t worked so far. I find that I need to check at least Facebook in morning to clear out the messages and respond or not having checked it becomes the distraction. I may shift this to checking in the morning in an allotted time and then at lunch. Still working this one out. So…thoughts? Questions? Suggestions? Anyone else going to try their own digital declutter? And for any writers interested in my course, here’s the video with all the details. I’ll be closing registration soon because we’re getting close to full! Course starts March 30th.